We are leading manufacturer & exporter of Capstan Lathe. 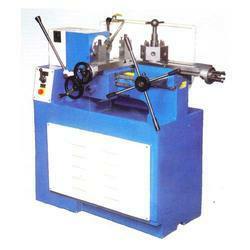 Our product range also comprises of All Geared Shaping Machine, All Geared Lathe Machine and Heavy Duty Slotting Machine. We are among one of the foremost organization in the domain of manufacture, export and supply the optimum quality Capstan Lathe. The machine offered by us is manufactured using the top most grade components as well hi tech technology under the supervision of our skilled professionals. Due to its features like robust construction, optimum performance, etc this machine is widely appreciated by our esteemed clients. We offer this machine as per the detail provided by clients to meet their diverse requirements.